It is often pointed out that presidents get too much praise and blame for the economy, since the domestic economy has its own rhythms. We are now going to see everything that happens in the Middle East attributed to George W. Bush, whether he had much to do with it or not (usually not). In the 1600s and 1700s, the Druze were the most powerful community on the Levantine coast. But in the 1800s, the Druze were eclipsed by the Maronite Christians, both because the latter had a population boom and because they grew wealthy off their commercial ties to France and their early adoption of silk-growing and modern commerce. When the French conquered Syria in 1920, they decided to make it easier to rule by dividing it. They carved off what is now Lebanon and gerrymandered it so that it had a Christian majority. In 1920, Maronite Catholics were probably 40 percent of the population, and with Greek Orthodox and others, the Christian population came to 51 percent. The Shi’ites were probably only about 18 percent of the population then. Both under the French Mandate (1920-1946) and in the early years of the Lebanese Republic, the Maronites were the dominant political force. When Lebanon became independent in 1943, the system was set up so that Christians always had a six to five majority in parliament. In the second half of the 20th century, the Lebanese Shi’ites grew much faster, being poor tobacco farmers with large families, than did the increasingly urban and middle-class Maronites. Maronites emigrated on a large scale (it is said that there are 6 million Lebanese outside Lebanon and only 3 million inside), to North America (think Danny Thomas and Salma Hayek) and to South America (think Carlos Saul Menem of Argentina and Shakira of Columbia). By 1975, the Maronites were no longer the dominant force in Lebanon. Of a 3 million population, the Shi’ites had grown to be 35 percent (and may now be 40 percent), and the Maronites had shrunk to a quarter, and are probably now 20 percent. The Shi’ites were mobilizing both politically and militarily. So, too, were the Palestinians. The Maronite elite found the newly assertive Muslims of the south intolerable, and a war broke out between the Maronite party-militia the Phalange (modeled on Franco’s and Mussolini’s Brown Shirts) and the PLO. The war raged through 1975 and into 1976 (I saw some of it with my own eyes). The PLO was supported by the Druze and the Sunnis. They began winning against the Maronites. The prospect of a PLO-dominated Lebanon scared the Syrians. Yasser Arafat would have been able to provoke battles with Israel at will, into which Syria might be drawn. Hafez al-Assad determined to intervene to stop it. First he sought a green light from the Israelis through Kissinger. He got it. In the spring of 1976, the Syrians sent 40,000 troops into Lebanon and massacred the Palestinian fighters, saving the Maronites, with Israeli and U.S. approval. Since the Ba’athists in Syria should theoretically have been allies of the Palestinians, it was the damnedest thing. But it was just realpolitik on Assad’s part. Syria felt that its national interests were threatened by developments in Lebanon and that it was in mortal danger if it did not occupy its neighbor. The Druze never forgave the Syrians for the intervention, or for killing their leader, Kamal Jumblatt. Although the Palestinians were sullen and crushed, they declined as a factor in Lebanese politics once they were largely disarmed, since they still lack citizenship and face employment and other restrictions. The UN statistics show almost 400,000 Palestinians in Lebanon, half of them in squalid camps. But some social scientists believe that because of massive out-migration to Europe, there are actually less than 200,000 in the country now. In 1982, the Israelis mounted an unprovoked invasion of Lebanon as Ariel Sharon sought to destroy the remnants of the weakened PLO in Beirut. He failed, but the war killed nearly 20,000 people, about half of them innocent civilians. Ziad Jarrah had a long-term grudge about that. The Israelis militarily occupied southern Lebanon, refusing to relinquish sovereign Lebanese territory. The Shi’ites of the south were radicalized by the Israeli occupation and threw up the Hezbollah party-militia, which pioneered suicide bombs and roadside bombs and forced the Israeli occupiers out in 2000. One foreign occupation had been ended, but the Syrians retained about 14,000 troops in the Bekaa Valley. 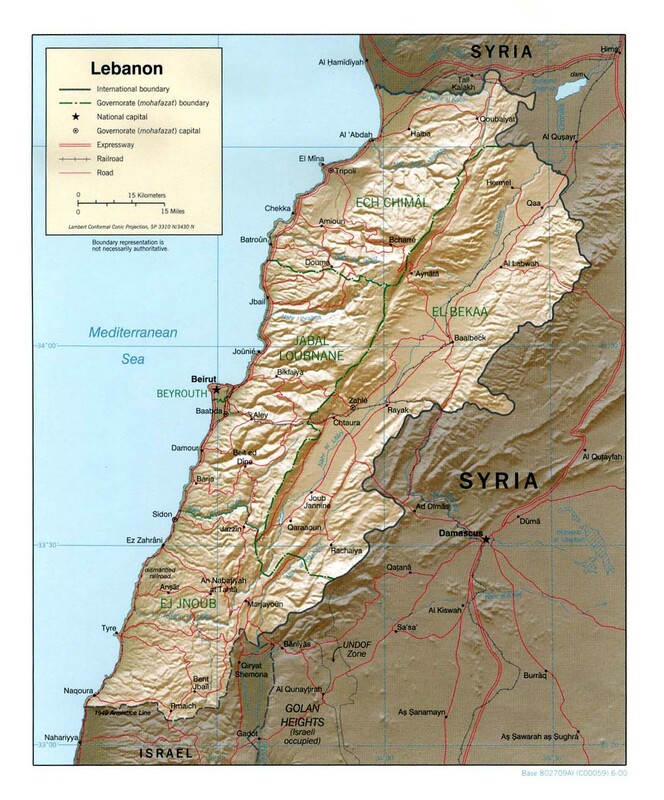 The Israeli withdrawal weakened the Syrians in Lebanon, since many Lebanese had seen the Syrians as a bulwark against Israeli expansionism, but now Damascus appeared less needed. Over time, the Maronites came to feel that the Syrians had outstayed their welcome. So both they and the Druze wanted a complete Syrian withdrawal by the early zeroes. In the meantime, Syria had gradually gained a new client in Lebanon, the Shi’ites, and especially Hezbollah. Likewise, many Sunnis supported the Syrians. The Syrians made a big mistake in growing attached to Gen. Emile Lahoud, their favorite Lebanese president. When his six-year term was about to expire last fall, the Syrians intervened to have the Lebanese constitution amended to allow him to remain for another three years. Across the board, the Lebanese public was angered and appalled at this foreign tinkering with their constitution. Rafik al-Hariri resigned over the constitutional change. He was replaced as prime minister by another Sunni, Omar Karami of Tripoli in northern Lebanon. The assassination of Rafik al-Hariri, the popular multi-billionnaire Sunni prime minister (1992-1998 and 2000-2004), angered a broad swath of the Sunni community, convincing them it was time for the Syrians to go. Despite the lack of any real evidence for the identity of the assassin, the Lebanese public fixed on the Syrians as the most likely culprit. The Sunnis, the Druze, and the Maronites have seldom agreed in history. The last time they all did, it was about the need to end the French Mandate, which they made happen in 1943. This cross-confessional unity helps explain how the crowds managed to precipitate the downfall of the government of PM Omar Karami. If Lebanese people-power can force a Syrian withdrawal, the public relations implications may be ambiguous for Tel Aviv. After the U.S. withdrawal from Iraq, Israeli dominance of the West Bank and Gaza will be the last military occupation of major territory in the Middle East. People in the region, in Europe, and in the U.S. itself may begin asking why, if Syria had to leave Lebanon, Israel should not have to leave the West Bank and Gaza. I don’t think Bush had anything much to do with the current Lebanese national movement except at the margins. Walid Jumblatt, the embittered son of Kamal whom the Syrians defeated in 1976 at the American behest, said he was inspired by the fall of Saddam. But this sort of statement from a Druze warlord strikes me as just as manipulative as the news conferences of Ahmed Chalabi, who is also inspired by Saddam’s fall. Jumblatt has a long history of anti-Israeli and anti-American sentiment that makes his sudden conversion to neoconservatism likely a mirage. He has wanted the Syrians to back out since 1976, so it is not plausible that anything changed for him in 2003. The Lebanese are still not entirely united on a Syrian military withdrawal. Supporters of outgoing PM Omar Karami rioted in Tripoli on Monday. Hezbollah leader Hassan Nasrallah still supports the Syrians and has expressed anxieties about the Hariri assassination and its aftermath leading to renewed civil war (an argument for continued Syrian military presence). Much of the authoritarianism in the Middle East since 1945 had actually been supported (sometimes imposed) by Washington for Cold War purposes. The good thing about the democratization rhetoric coming out of Washington (which apparently does not apply to Algeria, Tunisia, Jordan, Yemen, Uzbekistan, and other allies against al-Qaeda) is that it encourages the people to believe they have an ally if they take to the streets to end the legacy of authoritarianism. But Washington will be sorely tested if Islamist crowds gather in Tunis to demand the ouster of bin Ali. We’ll see then how serious the rhetoric about people-power really is.